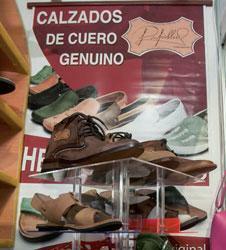 The Havana International Crafts Fair (FIART 2016), which has become a regular event held every December in this city, exhibits and markets both Cuban and international products, many of which are exponents of traditional techniques. This 20th edition took place from December 6 to 18. Participating for the first time were exhibitors from Portugal and Haiti, along with other regular exhibitors from India, Argentina, Peru, Ecuador, Venezuela and Spain. FIART’s stands offered the public a variety of products, set up like a huge bazaar where one could find footwear, textiles, saddlery, furniture of different materials and styles, jewelry, lamps and stained glass, ceramics, and precious metals. The works in jewelry, textiles and furniture design were part of the most attractive proposals of this edition, recognized with awards given by the organizers. In fact, FIART 2016 was dedicated to textiles as an art, which was developed under the premise of ‘Art, Utility and Office’. In total, foreign guests occupied 77 stands, while on the Cuban side there were 26 institutional and 243 individual, which tripled the number of national participants according to the organizers. 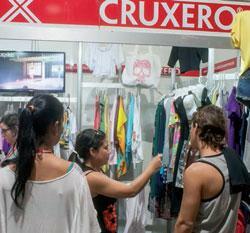 The meeting, held at the Pabexpo fairground west of the Cuban capital, brought together a hundred artisans from Asia, Europe and Latin America and more five hundred from Cuba. At the entrance of the exhibition space, the Cienfuegos stand, southcentral province to which the fair was dedicated, welcomed visitors. Meanwhile, textiles occupied a good part of the place. Arturo Valdés, president of the Cuban Fund for Cultural Goods (FCBC) highlighted that the event also paid tribute to the historic leader of the Revolution, Fidel Castro (1926- 2016), who promoted an inclusive cultural policy that allowed the development of handicrafts. Meanwhile, the president of the Latin American Association for the Promotion of Folklore and Craft, Carlos Maytorena, pointed out that Cuba has had a very active and important participation in the promotion of artistic and traditional values. He also added that meetings like FIART encourage greater contact among artists in the area, in addition to being a showcase and promoting marketing. Organized by the FCBC, the International Handicraft Fair of Havana aims to establish itself as an exchange space for the development of handicrafts worldwide. From its beginnings, the fair has taken on different dimensions. It has been a place to which people go in search of gifts or decorative ítems for their homes, while enjoying the beauty of a good design. It has also been the place where Cuban artisans and artists have shown their skills, in addition to foreign guests who also bring the culture and traditions of their countries. It is in the interest of the FIART Organizing Committee to promote works in which the techniques and skills of local artists be presented as an expression of identity and cultural tradition. In addition to being a trade fair and exhibiting handicrafts, the event hosted theoretical meetings and awarded several awards: Life Work Award, the FIART Awards and the Best Exporter Award.